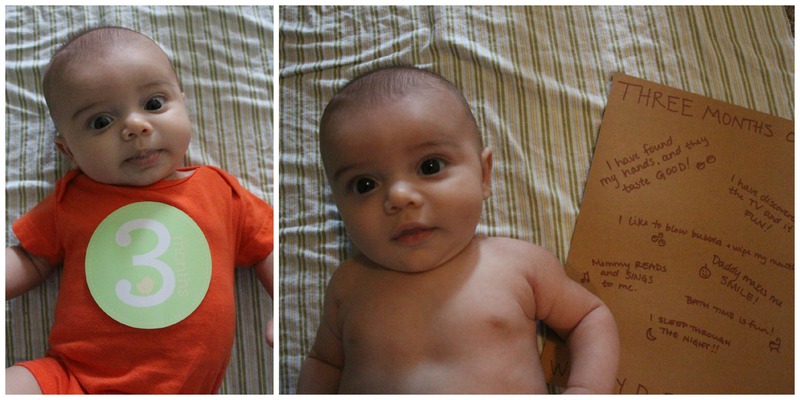 It’s hard to believe that my little man is over 3 months old already! I imagine I’ll be saying that at every month and every milestone. But it’s true! It’s amazing how much he changes every day. I feel like a lot has happened during this month, and it seems that my son’s happy days now outnumber his fussy ones. Here are a list of the things that helped make this month so special. I can’t stress this one enough! My son has turned into a slobber monster, what I call a “slobberpuss”. We are constantly wiping at his mouth fighting a never ending battle to keep his onesies dry. The doctor assured me that this is completely normal and will only get worse! My mom bought a bouncer seat during a trip to Target because it was on sale. I was hesitant. I’m always nervous to spend money on something to find that my son hates it. At $22 my mom went for it. And I am so glad that she did! My little man loves sitting in his “big boy seat” as Stuart calls it. These seats come with removable visual toys and thank goodness they’re removable. I don’t know if my son is afraid of cartoon lady bugs and snails, but he hates having these toys in front of his face. Maybe they’re just too close for comfort. 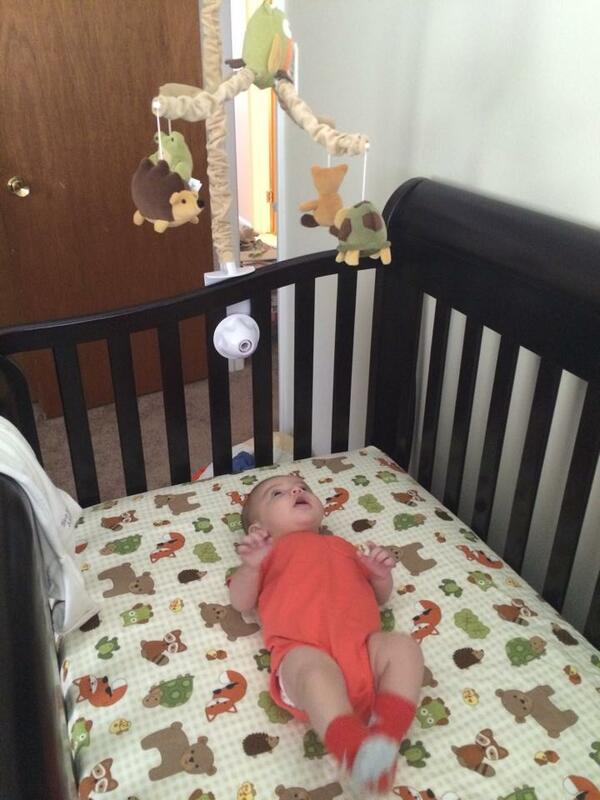 I’ll give them another try soon – maybe when he can reach them they’ll be fun and not scary. Activity gyms are a popular purchase for new moms and it’s obvious why. With different toys hanging down there’s always something “new” to look at. There’s even a mirror that can be attached to the gym. My son loves to look in the mirror and smile and coo at his “friend.” My favorite thing about this play mat is that it works his hand-eye coordination. As he gets older and learns how to use his hands he can grab the fox that hangs lowest and shake and rattle it, or simply bat at it to make noise. The hedgehog has a little device that plays an excerpt of “Rock-a-Bye-Baby” and the rabbit has a squeaky toy in it, when I squeeze them he looks towards the source of the noise. I love watching him grow and learn!